Gour Kishor Ghosh was born on June 22, 1923, first education started in one of the tea gardens of Sylhet. Completed his school education in Navadwip. In 1945 he passed the I S-C. From 1941 to 1953 he constantly changed profession. This humanist writer and journalist honored by many reward. 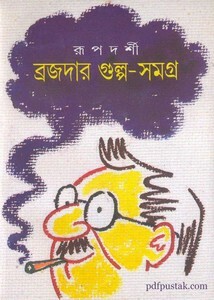 He writing many many novels and stories under the pen name Rupdarshi. Brojdar Gulpo is one of this, now I want to share this excellent humorous story book. The Bangla story book has 205 pages, 12mb pdf size.